Samira K. Beckwith, president and CEO of Hope HealthCare Services, contributed to the “Global Atlas of Palliative Care at the End of Life,” published in January by the World Health Organization (WHO) and the Worldwide Palliative Care Alliance (WPCA). Beckwith assisted in developing the extensive report, which for the first time maps the unmet psychosocial and emotional needs of patients with serious advanced illnesses, as well as the family members who provide care to loved ones. In fact, the “Global Atlas of Palliative Care at the End of Life” reports that only one in 10 people who need palliative care – defined as medical care designed to relieve the pain, symptoms and stress of serious illness - are receiving it. Saturday, March 1, 2014 starting at 1:15 p.m.
$135 per player includes golf, cart, 2 mulligans, gourmet awards dinner, and eligibility for prizes. 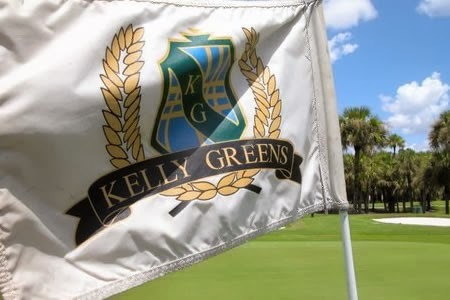 Registration forms are available in the Kelly Greens Pro Shop and Administration Office. E-mail Rose Kelly to donate. Tickets will be on sale, and auction items will be displayed in the Kelly Greens Lobby starting February 26. Potential sponsors should call Sue Bonn at (239) 454-7367. Please call Red at (239) 565-1031 with any questions.